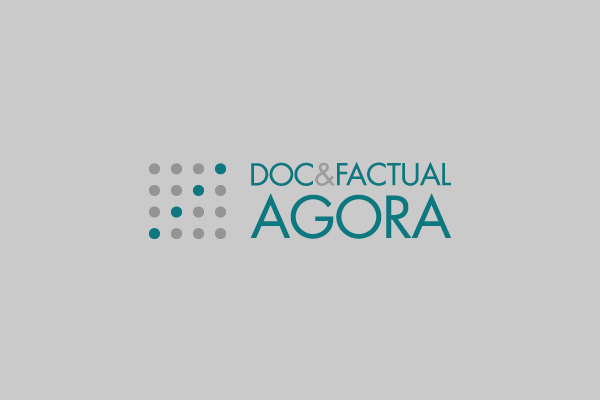 Logotype, corporate identity, website wireframe for Doc & Factual Agora.  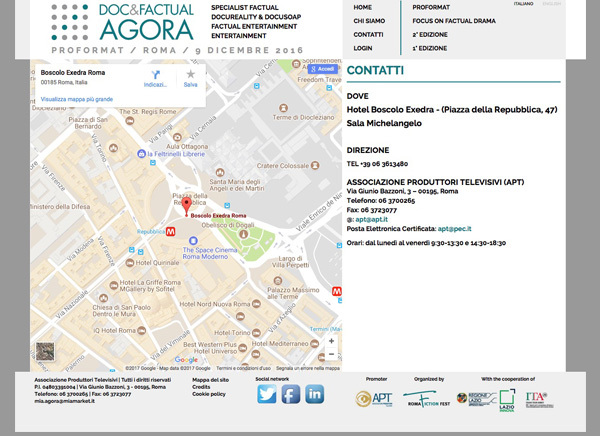 Founded in 1994, the Association of Television Producers (APT) is the trade association representing independent television producers, operating on fiction, entertainment, cartoon and documentary, with regard to Institutions and broadcasters, and promoting them through legal and business affairs advice and the stipulation of union agreements for their industrial growth and interests. 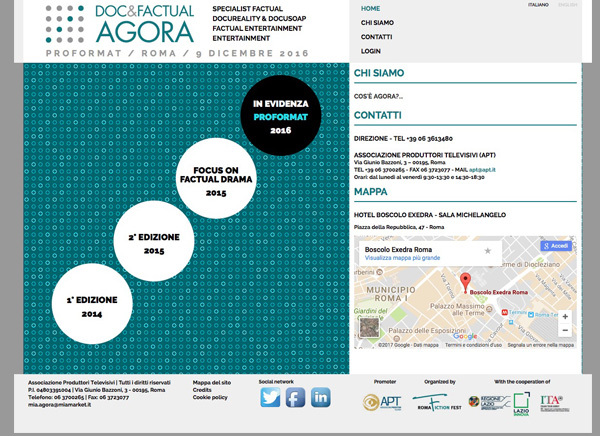 APT is also the creator of the RomaFictionFest in 2007 and the International Doc&Factual Agora in 2014.